Employment of nursing assistants is projected to grow 11 percent from 2016 to 2026, a rate that is faster than the average for all occupations. Nurse assistants are needed to care for the growing elderly population in personal homes, adult daycare centers, and long-term care facilities. Certified nursing assistant programs prepare adults to assume responsibility for the safe and efficient care for seniors. Programs approved by the Missouri Department of Health and Senior Services include at least 175 hours of instruction, including 75 hours of lectures and lab and 100 hours of supervised patient care in a clinical setting. Throughout the program, students learn how to assist patients with the activities of daily living, report vital information to doctors and nurses, provide emotional and social support to patients, and practice within the state, federal, and organizational guidelines for practice. The role of the nurse aide varies by setting. However, one common duty in almost all settings is to assist with mobility. In long-term care facilities, nurse aides help patients move from their rooms to bathrooms, community areas, and around the compound. In hospitals, patients might need to be wheeled from their rooms to surgery and back. 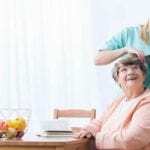 Assisting with personal care, such as bathing, feeding, and dressing, emptying bedpans, and making beds are some of the less desirable duties that CNAs in hospitals, long-term care, and patients’ homes must perform. The tasks of monitoring patients to detect distress signals and adverse reactions, perform vital signals, and providing emergency care when needed require some skills acquired in the nursing assistant program but also specific character traits such as strong work ethic, attentiveness to detail, strong communication, quick thinking skills, patience, and physical and emotional strength. The Certified Nurse Assistant course at Ozarks Technical Community College meets the theory and practical requirements of the Missouri Department of Health and Senior Services. The course is offered as a hybrid online course so students will complete part of the theory online. Course topics include the role and responsibility of the nurse aide, anatomy and physiology, medical terminology, vital signs, infection control, personal care, communication and interpersonal relationships, and patient safety. Students will also learn how to assist clients with the activities of daily living, care for patients with Alzheimer’s disease, assist with rehabilitative treatments, assist patients with mobility, keep patients’ room clean, and observe patients for adverse reactions to medications or treatment. To graduate from the program, students must maintain a score of 80% on all coursework, attend all classes including the 100 hours required for the clinical experience, and keep the school account in good standing. Classes meet Tuesdays and Wednesdays from 6:45 am to 5:15pm on clinical days and on Thursdays from 11:30am to 4:30pm for theory and lab sessions. Complete the vaccination requirements – TB skin test, MMR or proof of booster, flu shot, hepatitis B series , and Tdap. Tuition for the program is $2,555. It includes two sets of scrubs, the state approved textbook, medically approved shoes, drug screen, gait belt, background check, and CPR certification. It also includes the clinical ID badge, CNA lapel pin, certificate of completion and certification, a watch with a second hand, and the certification exam fee. Cox College’s Nurse Assistant program is for adults looking acquire the knowledge and skills to pass the CNA exam and care for residents in a long-term care facility. The program runs for six weeks. Classes meet two days a week for lectures and two days per week for clinical practice. The clinical sessions will take place at CoxHealth or another approved clinical site for 10 hours for each of the two days. Tuition for the program is $1,600. The non-refundable application fee is $50. Books and supplies are an additional cost. The nursing assistant program at Bolivar Technical College is a non-credit program that is designed to teach adults the skills to care for residents. The acquisition of these skills will help them qualify to perform simple nursing procedures and care for residents or patients under the direction of a licensed nurse. The program comprises of 175 contact hours theory and practical instruction: 75 hours in the classroom, and 100 hours of clinical experiences in a long-term care facility. The duration of the program is 12 weeks. 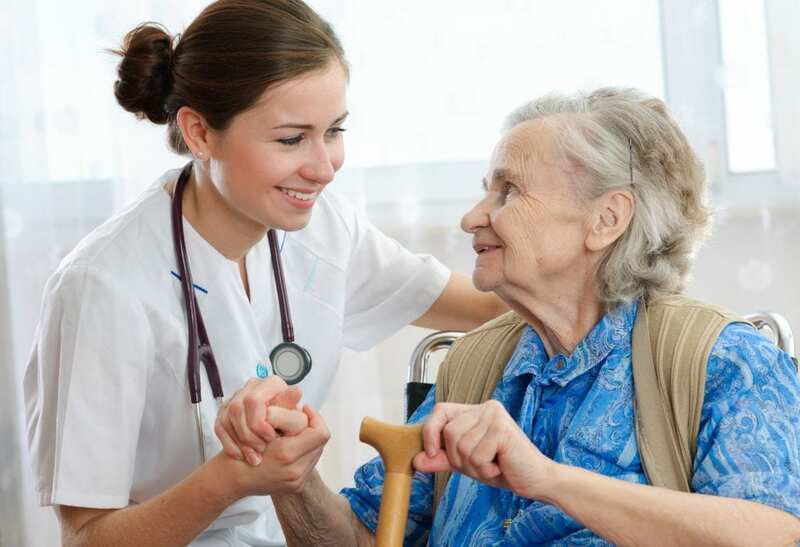 Upon completion of the course, students will be prepared to use the principles of personal hygiene and physical and mental health in the care of others, understand their role as part of the organizational structure of a long-term care facility, understand their responsibility to the resident, use basic nursing skills to perform nursing procedures, help residents maintain optimal function, and demonstrate respect for residents. Course topics include nutrition, feeding, bathing, and dressing residents, responsibilities of a nurse aide, communication techniques, collaborating with the health care team, patient rights and independence, infection control, rehabilitation, and hospice care.